As Formula 1 is moving onto the second stage of the 2015 season, Europe will be welcoming a single championship favourite. After four races Lewis Hamilton leads the standings by 27 points – enough to keep him in the lead in case of a pointless drive – and is looking more confident then ever. 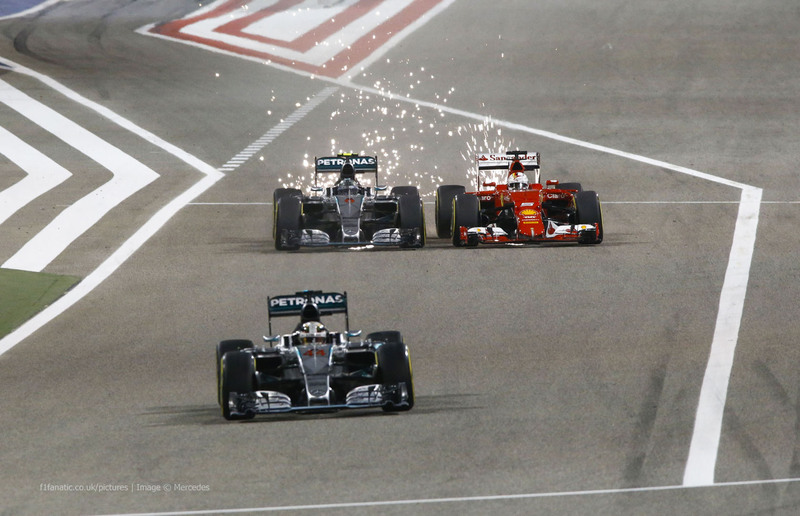 The Brit was unstoppable in Bahrain where he drove a pole-to-finish race with little threat from his biggest rival of 2014 – his own team-mate, Nico Rosberg. Although the Mercedes drivers continue to occupy the two top spots of the drivers classification, in Sakhir they were separated at the finish line by a Ferrari – not the one that snatched the first win from the Silver Arrows in nine races in Malaysia, however. Raikkonen’s first podium for Ferrari is a sign the team is truly back to its winning ways. 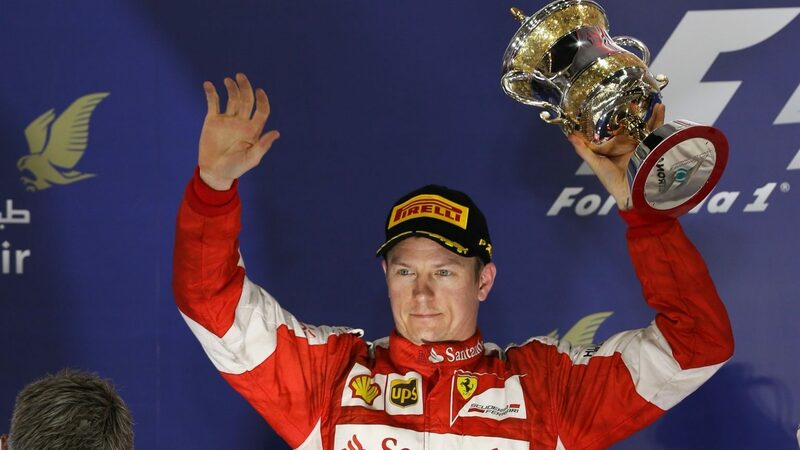 Under the Bahrain floodlights it was Kimi Raikkonen who shone for the Italian squad as he drove to his first podium finish since Korea 2013, leaving his team-mate Sebastian Vettel behind, in fifth. The performance of both Prancing Horse drivers suggests they are a force to be reckoned with – especially by Rosberg who benefitted from Vettel’s mistakes to gain position but also failed to keep the spot, conceding to Raikkonen on the penultimate lap by making a mistake himself. The reshuffle between the three driers delivered a gripping show of racing skill that so far could better be observed in the mid-grid this season; and yet, nothing seemed to dim Hamilton’s star as he pursued his third victory of the year – even a last-lap break-by-wire failure. Behind him it was all about tyre strategy; the long runs and choice of option tyres over primes helped Raikkonen greatly to claim the second podium spot, while a two-stop strategy gained Sergio Perez his second points since the season opener in Australia with a 8. place finish. On the same strategy Felipe Massa did not make his long final stint stick and lost out on a potential 8. place to cross the line in 10. – still, a positive result considering the Brazilian had to start the race from the pitlane as his Williams had stalled on the formation lap. But his team-mate Valtteri Bottas brought back more points for the team as he fended off Vettel to claim the first non-podium spot. The sparks flying from titanium front wing endplates where not the only eye-catching sight in the evening race; a decent drive by Pastor Maldonado was hindered by a delayed pitstop with smoke pouring from the front brakes of his Lotus; thankfully for the team, Grosejan made up for the Venezuelan’s continuous pointless run by finishing in 7. Red Bull engine woes continue in 2015, but without claiming any causalities in Bahrain. While Red Bull’s Daniel Ricciardo crossed the line in a spectacular fashion: with a huge plume of smoke gushing from his engine which gave way on the final corner, but not taking away any of the eight points from the Aussie’s 6. finish. His team-mate topped off the afternoon by crossing the line in 9. – an eight grid-place improvement on his qualifying position. The team’s junior squad was not so lucky as Toro Rosso recorded their first double-DNF (did not finish) of the season. Carlos Sainz Jr pulled off track halfway through the race due to a loose wheel and his team-mate Max Verstappen retired into the garage soon after with an electrical fault which forced him to run with reduced power. They joined the only other non-finisher – or rather non-starter – Jenson Button, whose McLaren failed to engage after virtually spending the whole weekend in the garage. However, the Brit’s team-mate Fernando Alonso brought more hope into the Woking squad by finishing just outside the points, in 11. – their best result since employing the returning Honda engine (if you discard Button’s 11. place in Australia, where he still came last of the curtailed grid). The Spaniard’s claims around the Bahrain weekend suggesting this would have been the last pointless race for McLaren would indicate the team has finally identified the cause of its woes. With the winter-testing-familiar Barcelona track next on the cards, many teams will be as hopeful as McLaren to see their fortunes turned for the better in Europe; but as it stands, the championship leader has little to worry about in terms of competition – and might as well continue cruising to victory. 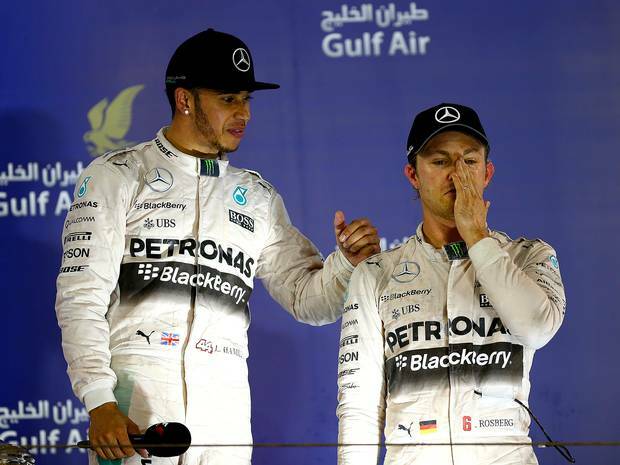 There seems to be no competition for Lewis Hamilton in 2015 – at least not from his team-mate.